The New Hampton Chickasaw boys track team was in Osage last night for an invitational meet that featured eight other schools. The Chickasaws were able to come away on the top of the standings with 137 team points. 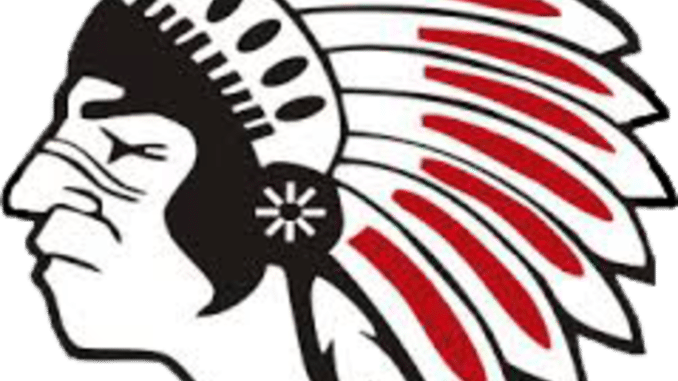 The Chickasaw took the top spot in ten events including Keagan John in the 400 and 800 meter runs, Nolan Usher in the 1600 meter run, Josh Fenske in the long jump, Noah Fenske in the shot put, the team of Areon Day, Bryce Maloy, Jacob Durnam and Noah Fenske in the Weight 4×100 meter, the team of Keegan Kane, Evan Gossling, Shane Burke and Josh Fenske in the 4×200, the team of Burke, Gossling, Alex Shumacher and John in the 4×400, the team of Usher, Shumacher, Hunter Carey, and Luis Salas in the 4×800 and the team of Brayden Fisher, Burke, Josh Fenske and John in the Sprint Medley. The Chickasaw boys will be in competition again tomorrow at Cresco. The Drake Relays began last night and after finishing second last year and third in 2016 Riley Masters finally stood at the top of the podium after winning the Grand Blue Mile in downtown Des Moines Tuesday night. His winning time was 4:03.12. Masters on finally winning the race. Emily Lipari edged Olympian Brenda Martinez to win the women’s division and dropping her personal record nearly three seconds in the process. Lipari says it was a good early win.